We are a 3D Rendering & VR company based in Sydney. 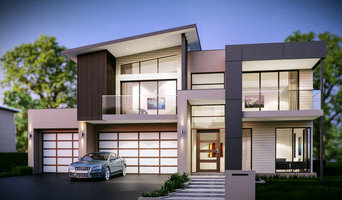 We provide high quality photorealistic 3D rendering to architectural, interior and Home builder in and around Sydney. With over 9 Years of experience in 3D visualization industry, we are able to provide the latest trends of renderings in the industry. With well-organised rendering technology, we are able to provide 3D renderings at a very competitive cost. 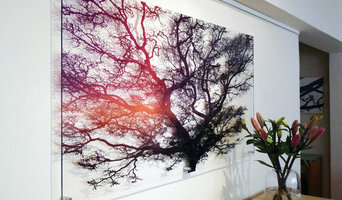 THE ARTIST Martine Vanderspuy is the art director and principle artist behind The Martine Gallery. She creates commissioned pieces and limited edition artwork for clients all over the world. Martine comes from a robust graphics background with over twenty five years experience in the advertising and magazine industries. She has worked with her own client and interior designers creating bespoke art for private homes and offices. THE ARTWORK Martine’s work fuses the imagery of photography with the bold aesthetics of graphic design. That’s been the appeal for most of her clients. She loves to blend her photography, illustration and painting with gorgeous, tactile effects like resin, varnish, paint, perspex and metal. She uses hard and soft mediums - from hanging artwork, to wall murals, metal outdoor or garden art, rugs and upholstery fabrics. Interiors are her passion, consequently her artwork is designed with that in mind. The bespoke element of her work is quite unique. Whilst clients can choose from her limited edition online gallery, she delights mostly in working with her clients to create something personal to their brief – colour, sizing, materials, mood and budget. She’ll even help turn a client’s own photographs into an art piece. THE CAUSE A percentage of sales are donated to Mitochondrial Disease (Mito) research. Mitochondrial disease is a debilitating genetic disorder that robs the body’s cells of energy, causing multiple organ dysfunction or failure and potentially death. A new research study states approximately 80% of children who show symptoms before age five, will die before age 20. In children the mortality rate is roughly that of cancer. Martine’s youngest son has Mito. So it’s been a big part of the family and continues to influence how Martine runs her life. Martine has raised over $200,000 for research. Her passion is to support finding a cure. <a rel="nofollow" target="_blank" href="https://amdfchallenges.everydayhero.com/au/thomas-martin">https://amdfchallenges.everydayhero.com/au/thomas-martin</a> THE ART GALLERY - www.martinegallery.com There’s two ways to ‘shop’ – choose a limited edition piece in the Shop Now gallery, or commission a custom designed product designed to your brief. Jordan is a Sydney-based artist and designer. Her work is renowned for a vibrant use of colour and is a dialogue about nature, abstract beauty, spiritual experience and pattern making. Since 2006, signarture has been creating contemporary art of superlative quality for design savvy home-makers and interior design professionals. 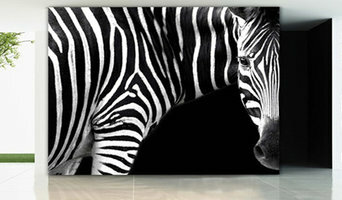 Our original artworks are reproduced in limited edition as uniquely transparent perspex artworks (also known as acrylic glass or plexiglas) and as canvas art prints in a range of on-trend colourways and in the shape and size you need to suit your space. Not to be confused with signature prints, and sometimes referred to as signature art, our artworks are our original creations. Our frameless perspex artworks are ideal of both indoor and outdoor spaces whilst our innovative 3D frames take these to a new dimension. Lucia Pilotto is a Sydney based artist, born in Buenos Aires, Argentina. She was attracted to art since early age, and spend all her childhood drawing and painting. She enjoys experimenting with different techniques and founds inspiration in colours, brush shapes and nature. She works mostly with acrylics and several mediums to obtain different effects and textures. During the last 2 years she's been exploring different approaches to abstract painting, obtaining very different styles. Hello, I'm new to Houzz. Please bear with me while I get my profile up and running. The artworks I've uploaded are just a small selection of the works I have available. Please feel free to contact me via email if there is an artwork you are interested in, or a custom piece you would like created for you. If you are an Interior designer, please contact me directly for trade prices. Thank you, Sally. Bio: I’m a visual artist based in Sydney’s vibrant Enmore. My work is informed by the wild nature that flourishes in the unkempt gardens and streets of my inner city neighbourhood. I explore colour, shape and line to generate two dimensional, decorative narratives of my surroundings. Our flora and fauna here in Sydney is exotic and unique, and for the moment, still thriving in pockets amongst the hum of the big city backdrop. I draw and paint every day – studying nature provides me with an endless supply of ideas and inspiration, as well as a quiet escape from reality. I love pattern and colour – I especially enjoy working in limited and/or unusual colour combinations. Colour is an intuitive and spontaneous part of my painting process; my colours are mixed and decided upon ‘on the fly’ and never really planned. I like the excitement and occasional disaster of working this way. My studio is home to literally hundreds of paint covered palettes, saucers, teacups, takeaway containers, you name it, that tell the story of my somewhat reckless colour journeys. Since I work mainly in gouache, I often go hunting for past experiments to revive with a little water and enjoy again. If you become familiar with my work you will see evidence of this in the same rare greens and blues popping up in works spanning different periods. My father is an accomplished painter and he taught me to paint and draw at a very young age – some of my earliest childhood memories are of rummaging through his cigar box of oil paints, and the smell of linseed oil in his house. Art and design are in my DNA, and I am fortunate to be enjoying an extremely productive time at this point in my life with more inspiration than I have time to create! I hope you enjoy looking at my paintings as much as I do creating them. The power of sculpture is to create objects which carry meaning for us. My work is to custom make these objects for my clients' homes, gardens and offices. I started sculpting in 1981. Selling my work through galleries and exhibitions, I commenced my career in sculpture in 1992. Since then I have been commissioned to produce works for homeowners, developers, architects and designers, institutional and corporate clients. Our Items are sourced from Private collections around the Globe from countries such as Austria, Germany, Italy, France, Czech Republic, England and the USA just to mention a few .We are constantly updating our stock and offering new collections in our retail shop and on our website shop each week. Emilias work stems from a deep love of nature and art. Specialising in bespoke Floral Styling as well as sustainable Plant based Artworks, all pieces are inspired by the harmonious dance that naturally occurs in nature. Each growing piece can can be replenished on a seasonal basis and all flowers and follaige are chosen for their unique look and long lasting quality. "Sustainability is intrinsically linked to everything that we do. I make it my mission to source local botanical materials wherever possible, use seasonal blooms, compost green waste as well as choosing sundry materials that have a low environmental impact." Celeste Wrona is an Australian contemporary artist with over a decade of experience making and teaching visual arts. 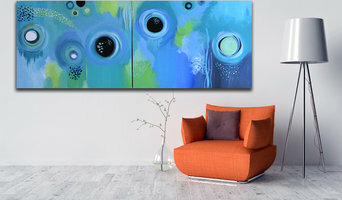 Her vibrant collection celebrates free-flowing form, texture, and colour. Celeste's works are held in private collections worldwide and her work is often exhibited around Australia. Her work has recently featured in the 2016 series of channel 9's "The Block" & the 2017 series of Channel 7's "House Rules". Celeste creates stunning fine art quality limited edition prints, original paintings, and lifestyle pieces. She has worked with clients on their individual briefs and special projects such as custom wallpaper installation and a variety of other unique art pieces. Celeste works very closely with her clients on their vision to create art pieces that make a statement in any space. Celeste and her work have also been featured in a variety of well-known publications, both in print and online including Vogue Living, Inside Out Magazine and Art Almanac. 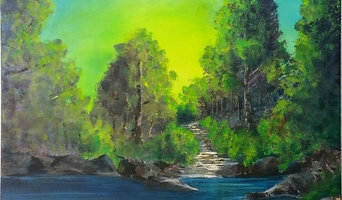 I'm a freelance artist and writer based in Sydney and a contributor to Houzz.com.au. I love covering topics like artwork, fashion, and interior design. Varying between individual commissioned works and digital prints, I have three different styles of work, suiting different themes of interiors, from hospitality, to retail, to residential. Künstler in Castle Hill, NSW, AU zu sein, ist kein Beruf – für die Ausübenden von Kunst ist diese Tätigkeit in der Regel eine Berufung, die mit Inspiration und einer tiefen Verbundenheit zum Leben einhergeht. In den Ateliers und Arbeitsstätten von Künstlern entstehen Einzelstücke und Unikate, oft in tage- oder wochenlanger Handarbeit hergestellt. Holz, Beton, Stahl, Metall oder Keramik: Kunsthandwerker kennen die die Eigenheiten in der handwerklichen Verarbeitung verschiedener Werkstoffe und finden maßgeschneiderte Lösungen für die Garten- oder Innenraumgestaltung mit Kunst. Nicht unerwähnt soll auch die digitale Kunst bleiben: Fotokunst, Kunstdrucke oder Pop-Art Kunstwerke, die sich der Möglichkeiten des Computers bedienen, sind ein beliebtes Mittel zur Wandgestaltung und werden immer stärker im Kunsthandel wahrgenommen. Für alle anderen sind Kunstwerke eine wunderschöne und exklusive Möglichkeit, das Haus oder den Garten zu verschönern. Selbst Menschen, die das Sammeln von Kunst als Wertanlage erachten und Ihre Kunstschätze im Tresor aufbewahren, würden beim Kauf von einem Gemälde oder einer Skulptur niemals den ästhetischen Wert außer Acht lassen. Was Kunst ist und was nicht – im Kontext der Gestaltung Ihrer eigenen vier Wände entscheiden Sie darüber. Dennoch ist unbestritten, dass eine große Wandmalerei im Wohnzimmer oder moderne Kunst im Garten etwas ist, das für Aufsehen sorgt. Der Übergang zwischen Kunst und Kunsthandwerk ist fließend, denn für viele handwerkliche Tätigkeiten ist eine künstlerische Begabung gefragt und umgekehrt. Im Kunsthandwerk steht die Beherrschung bestimmter Techniken wie Töpfern, Drechseln oder Modellieren an erster Stelle. Der gekonnte Umgang mit Materialien wie Holz, Ton, Glas, Metall oder Beton ist hier maßgeblich. Während freischaffende Kunstmaler Ihre eigenen Werke verkaufen, sind Auftragsmaler (und ganz besonders Porträtmaler) in Ihrer künstlerischen Freiheit ein Stück weit eingeschränkt, da das Ergebnis oder zumindest die gewünschte Richtung vorgegeben ist. Auftragsmalereien sind dazu geeignet, wenn Ihnen selbst eine bestimmte Idee für Ihre individuelle Wandgestaltung vorschwebt. Beim Einrichten einer rustikalen Berghütte können Sie Holzschnitzer beauftragen, die das Treppengeländer verzieren oder Fassadenmaler, die das Bergpanorama auf Ihre Außenwände malen. Unter den Künstlern bei Houzz findet sich nahezu jedes Kunsthandwerk in Castle Hill, NSW, AU. Kunst im Garten oder eine besondere Malerei im Arbeitszimmer ist eine exklusive Art, dem eigenen Zuhause eine individuelle Note zu verleihen. Künstler in Castle Hill, NSW, AU gesucht – wie finde ich kreative Köpfe? Drucke, Poster, Fine-Art Fotografien oder Ölgemälde: Wandgestaltung ist fraglos eine der beliebtesten Möglichkeiten, um Kunst zu präsentieren. Doch nicht immer müssen es Fotos oder Kunstdrucke sein – haben Sie schon einmal über eine exklusive Wandbemalung nachgedacht? Illusionistische Wandmalerei bringt Ihre Lieblingslandschaften und -orte zu Ihnen nach Hause. Darüber hinaus lassen sich Wandbilder in nahezu jedem Raum umsetzen. Kontaktieren Sie Künstler und Wandmaler in Castle Hill, NSW, AU, um ihre Wände mit exklusiven Gemälden ausstatten zu lassen. Filtern Sie Ihre Experten-Seite gezielt nach Einträgen von Kunstschaffenden in Castle Hill, NSW, AU. Durchstöbern Sie die verschiedenen Portfolios und entdecken Sie aufregende Gemälde, Skulpturen oder Wandbilder für Ihr Zuhause. Bevor Sie einen Künstler und Kunsthandwerker kontaktieren, können Sie andere Kundenbewertungen lesen.